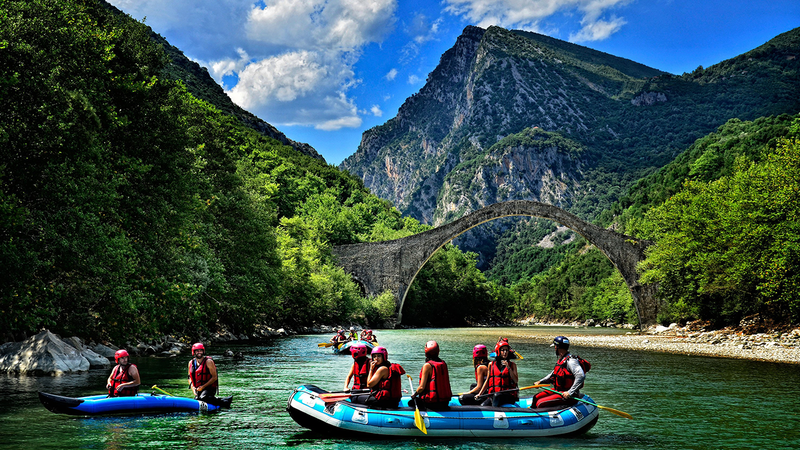 Greece is one of the world’s most popular tourist destinations, ranking in the world’s top 20 countries. With all its culture, Greece has great diversity and a wide range of places and landscapes that cannot be found together anywhere else. 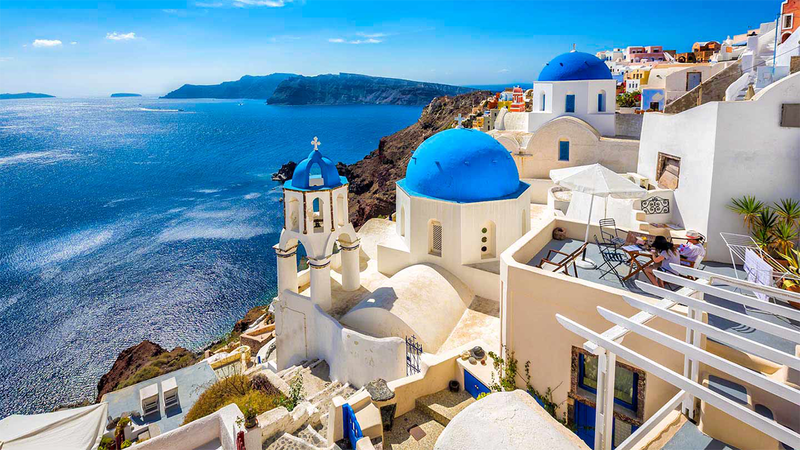 With extraordinary cuisine, perfect climate and exquisite beaches, Greece is definitely the place that everyone wants to visit. A street party in the heart of Athens and underneath the Acropolis: Min 100 – Max 500 pax. A beach party on a famous bay: No maximum participation as this depends on the capacity of the selected venue / beach and not the theme party itself. Naturally, there are many options available. An Ancient Greek theme party: No maximum participation as this depends on the capacity of the selected venue and not the theme party itself. A Greek cooking session : 10 – 15 pax per team maximum. Teams can be running simultaneously or one after the other. A bike gastronomy tour in Plaka – the old district of Athens at the footsteps of the Acropolis: 10 – 15 pax per team maximum. Teams can be running simultaneously or one after the other. A wine / ouzo / olive – olive oil / cheese tasting in traditional wineries, distilleries, olive presses, creameries and farms all over Greece: There is no standard maximum participation as this depends on the capacity of the venue the tasting will be held at and there are many options available. A private cruise to an isolated island : with dinner at a traditional captain’s house. Min 20 – max 80 pax. The revival of the Olympic games : in the Panathenaic Stadium of Athens, the only marble stadium in the world that hosted the first modern Olympics in 1896. Minimum 50 – maximum 200 pax. Experience a modern Odyssey: Build your own raft from scratch and sail away! Minimum 50 – maximum 150 pax. 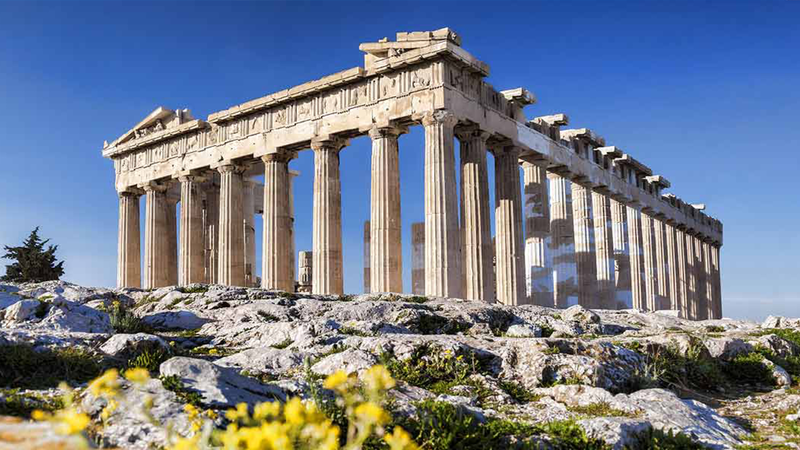 Visit world famous historical landmarks dating thousands of years back in time: The Acropolis in Athens, the Ancient Oracle in Delphi, the Arch, site of Akrotiri in Santorini, site of Delos isle ad the Knossos Palace in Crete are just a few… Many Greek monuments are UNESCO heritage sites! To visit the idyllic, awarded, world class beaches: and enjoy the sun and crystal clear waters. 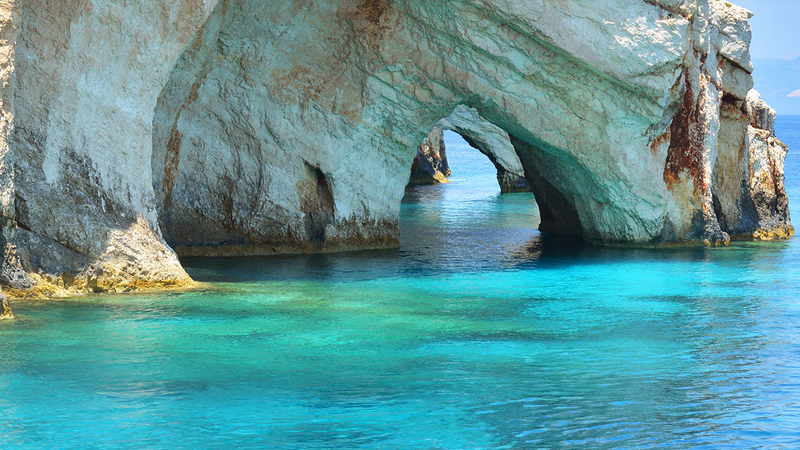 Out of a total 3650 blue flag beaches worldwide 379 are in Greece – more than 10 %. Because Greece is the island empire: With over 200 habitable islands in the Aegean and Ionian Sea (more than 6000 in total!!! ), you will certainly find one to your liking!! On the top of your list should of course be Santorini, recently voted as the best island destination in the world!! Gastronomy: The Greeks know food! The world’s most exquisite Mediterranean flavours such as ouzo are before you. Amazing fresh fish, gyros, souvlaki, Greek salad, feta cheese, kalamata olives, bread with olive oil, meze, tzatziki, saganaki, spanakopita, mousaka, dolmades, and of course great wine and ouzo!! 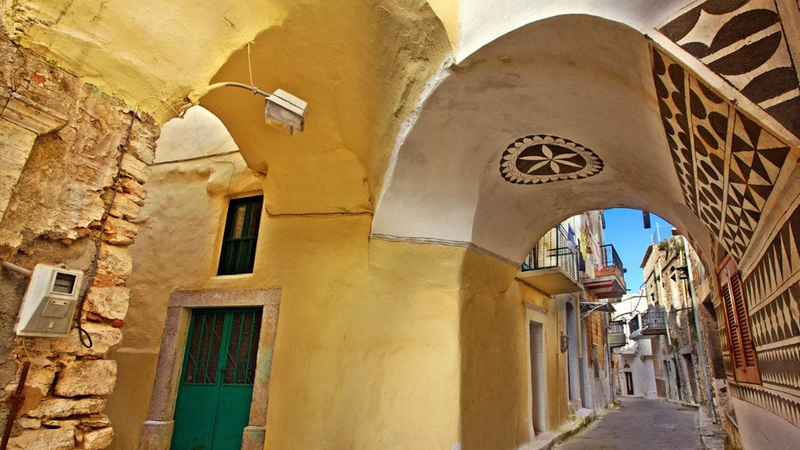 Greek Filoxenia: A Greek word meaning hospitality and welcoming strangers! For which Greeks are renowned for! Because of its great climate: Perfect climate conditions allow every visitor to enjoy every season across the country. 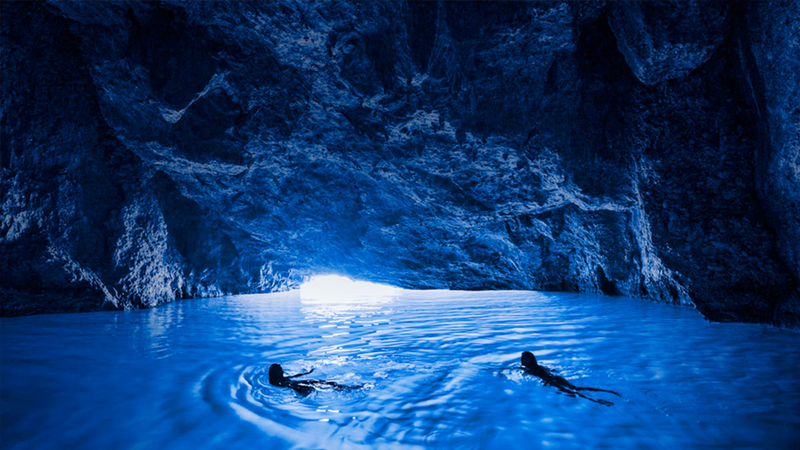 Greece delivers the ideal climate that offers everyone the opportunity to enjoy memorable holidays with a wide range of activities. Easily accessible: by all means from every corner of the earth and affordable. Lion of Kea: Carved prior to 600 BCE, the smiley stone lion represents a mythical lion that almost destroyed the island of Kea. Symi Harbour: Surrounded by pastel coloured houses all piled on top of one another sits this beautiful secret costal village. 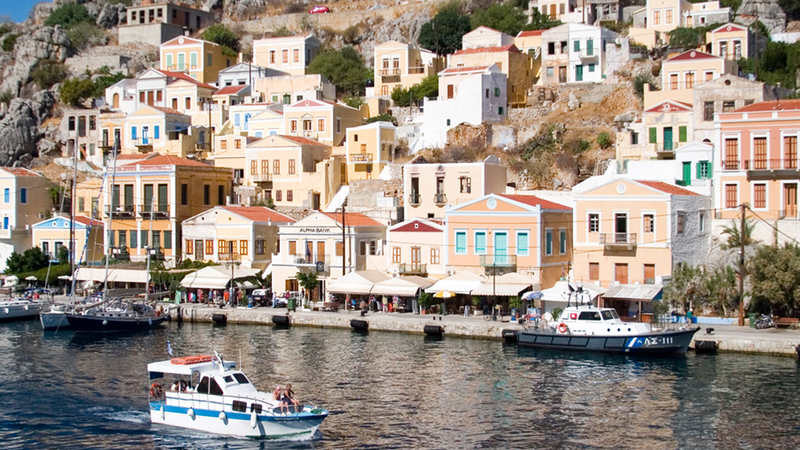 Accessible only by ferry from Rodos, the village of Symi is a quaint and hidden treat perfect for as a little getaway treat. Komboloi Museum (Greek Worry Bead Museum: The Greek komboloi are small strings, like bracelets, with stones. Unlike rosaries, though, they have no religious connotation; they are used to relieve stress. Pick up some stress relievers at the gift shop. This includes: 2 nights in a 5 star hotel on BB basis (single occupancy), arrival & departure transfers with meet & greet, 2 half day sightseeing with lunch included and 2 dinners. This includes: Overnight stay in a 5 star hotel on BB basis (single occupancy), arrival & departure transfers with meet & greet, Daily Delegate Rate, plus rental of a main meeting room.